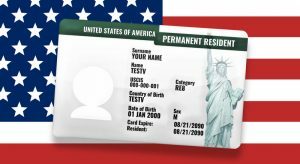 In the United States, one of the most important goals for millions of immigrants is acquiring a “Green Card” – the symbol of lawful permanent residence and a pathway to citizenship. Although many immigrants apply for a Green Card through a family member who is already a lawful permanent resident or United States citizen, many immigrants – both inside and outside of the United States – do not have such family connections and cannot rely on a family member to achieve the goal of obtaining lawful permanent residence. Part 3 of this series discusses employment-based immigration and how those with certain education, training, or other skill sets can nevertheless apply for legal status in the United States as part of their employment or trade, despite lacking any family connection that might otherwise make them eligible for an immigration benefit. If you missed Part 1 of this series (providing an overview to obtaining a Green Card) or Part 2 of this series (discussing family-based immigration), you can find Part 1 here and Part 2 here. See 8 U.S.C. § 1153(b). All of the above categories are further divided into several sub-categories, with the exception of the fifth preference category for immigrant investors. Admissions through employment-based immigration are capped at approximately 140,000 people per year. In general, employment-based immigration is more complicated than family-based immigration, tends to involve a greater number of federal agencies, and often requires a valid offer of employment and labor certification from the Department of Labor (“DOL”). The labor certification process is extremely complex and should not be attempted without the advice of a knowledgeable immigration attorney. The first, fourth, and fifth employment-based preference categories will generally not require labor certification. The second employment-based preference category requires labor certification unless a waiver known as the “National Interest Waiver” is obtained. See 8 U.S.C. § 1153(b)(2)(B). The third employment-based preference category always requires labor certification. If labor certification is required, the immigrant’s employer will need to meet additional requirements. To obtain labor certification, an employer generally must demonstrate to the DOL that: (1) No domestic workers are obtainable to do the desired work at the “prevailing wage” for such work; and (2) The immigrant’s employment will neither adversely affect the wages nor working conditions of United States workers employed in similar positions. See 8 U.S.C. § 1182(a)(5). Moreover, employers must also make good-faith and reasonable recruitment efforts for domestic workers between 30 and 180 days prior to filing an application for labor certification. Depending on the case, employers may have additional requirements. Employers may appeal denials of labor certification to the Board of Alien Labor Certification Appeals (“BALCA”) and, in some cases, to a federal district court under the Administrative Procedure Act. This entire process must be successfully completed prior to filing any immigration petition with the United States Citizenship and Immigration Services (“USCIS”). Upon receiving labor certification, the immigration petition must be filed with USCIS within 180 days or the certification will expire. See C.F.R. § 656.30(b). On a special note, the fifth employment-based preference category – the EB-5 Visa – allows for admission of up to 10,000 investor immigrants per year. To acquire an EB-5 Visa (sometimes referred to as an “Investor Visa”), an immigrant must be able to demonstrate that he or she will make an investment of $1,000,000 into the American economy which will create a minimum of ten (10) jobs for United States workers. See 8 U.S.C. § 1153(b)(5). The jobs created cannot include jobs for the investor and his or her family members. In certain instances, it may be possible for the investor to provide an investment of only $500,000 when the investment would be for designated “targeted employment areas,” which tend to be rural communities or areas with high levels of unemployment. Id. The Investor Visa can be used to obtain lawful permanent residence for the investor as well as the investor’s spouse and children under the age of 21. Although the above visas do not encompass all visas which may be available to an immigrant through employment in the United States, all the above visas do provide a clear path to lawful permanent residence for those who are able to receive them. If you think you may be eligible for employment-based immigration, it is highly recommended that you seek the advice of an immigration lawyer. While employment-based immigration can present tremendous opportunities to many immigrants, its complexity warrants the assistance of a professional. Contact a Nashville immigration attorney with Cole Law Group at 615-490-6020 to schedule a consultation and learn about whether you could be eligible for a Green Card through employment-based immigration.